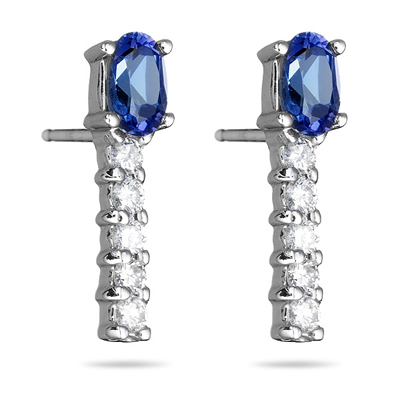 1/4 Cts Diamond & 0.63 Cts Tanzanite Earrings in 14K White Gold . This is a beautiful pair of oval tanzanites and diamond earrings prong set in 14K White Gold. Total Diamond Weight: 0.23 Carats. 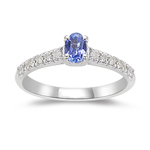 Total Tanzanite Weight: 0.63 Carats. A ultra gorgeous pair of earring perfect for any occasion. You save an additional: 474.30!